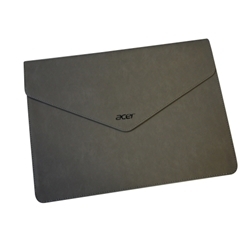 Description: New genuine Acer laptop leather envelope bag carrying case. This part is grey in color. 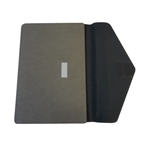 *This bag will fit slim 13.3" ultrabooks and any laptop/netbook 11.6" or less or any tablet. 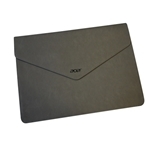 External dimensions of this bag are 13" x 9 1/2".